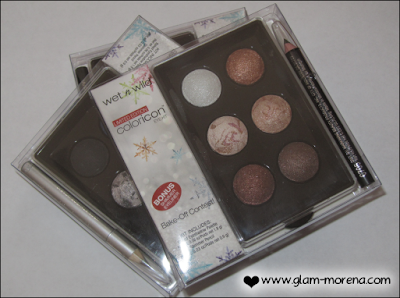 Glam Morena: Wet n Wild Color Icon Baked Eye Kits. Wet n Wild Color Icon Baked Eye Kits. A few days ago I did a blog post on the new Wet n Wild collection that is exclusively available at Walgreens. 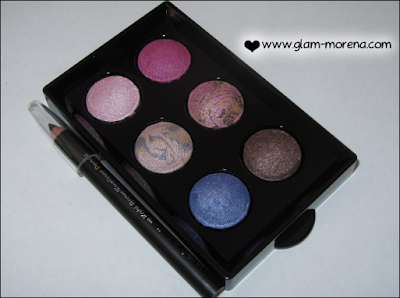 The first post featured the Wet n Wild Color Icon Matte Eyeshadow Palette. 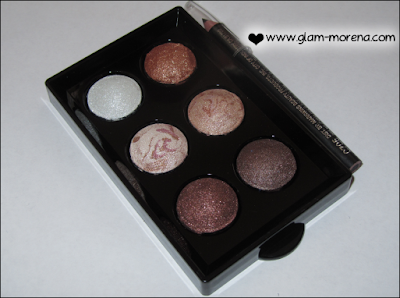 Now I'm going to share with you the Wet n Wild Color Icon Baked Eye Kits. 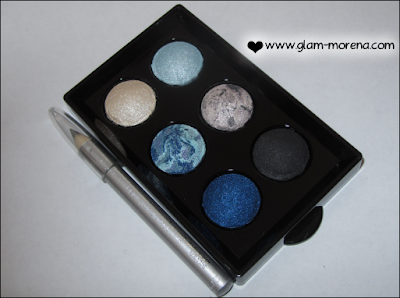 Each kit includes 6 baked eyeshadows and a mini eyeliner pencil. PROS: The eyeshadows are very pigmented. The swatches I provided were done without a base and were applied dry. Just imagine how great the pigmentation will be when they are applied over a base or applied wet. CONS: The packaging is not my favorite. I struggle every time trying to remove the lid. I would had much preferred the usual flip lid packaging that Wet n Wild normally has on their eyeshadow palettes. Be aware that just like last year's holiday palettes these are not labeled either. Swatches of all the Wet n Wild Color Icon Baked Eye Kits! Wow! The colors are so beautiful! I especially love the blues in the Baked not Fried palette. I am re-considering WnW since I had some issues with them in the past. I must say they have come a long way. I wonder how long it will take for these to come to Canada. That blue palette is calling out to me.. I went on a hunt for these this past weekend & finally found them! I didn't have any problems with this packaging, but I would rather them to be the other way. Those look fabulous!! They sold out really quick at Walgreens here. I'm waiting for more to come in. Great review friend! Bake-Off Contest is super pretty! womp for the packaging though.. i prefer them to flip open too.